What is a debit business card? The economy is booming, and business and corporate revenues are up. The U.S. Bureau of Economic Analysis reports that corporate profits increased by 4.2 percent in the second quarter of 2018. This was up from 2.2 percent in the first quarter of the year. The National Small Business Association reported in its 2017 Year-end Economic Report that 84 percent of small business owners were confident about the success of their businesses. Debit business card usage is increasing among businesses as well. It is important for businesses to be able to buy the things that they need in a timely manner in order to keep their businesses running smoothly. Some businesses do this by using business credit cards. However, credit cards may be out of reach for business owners who have marks on their personal credit or those whose businesses are new. One solution that businesses might consider is getting debit business cards. How do debit business cards work? Debit business cards are not credit cards. Instead of being attached to revolving lines of credit, debit cards are instead attached to the business’s deposit account. When employees use debit business cards to purchase items for their company, the money to pay for the items is subtracted from the account balance rather than coming from a loan from the credit line. A debit card for business does not require credit approval since the money that is spent with the cards is the business’s own funds. They also help to keep the businesses from sinking into debt. Who uses business debit cards? Both small and large businesses use debit cards, but small businesses may benefit the most from them. 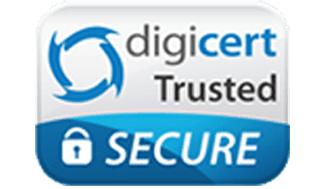 Smaller companies that are unable to secure credit cards may use debit cards to help to track their expenses and to keep their personal and business expenses separate. Using debit cards can give companies the ability to make purchases when they are needed rather than having to rely on paper-based reimbursement and purchase approval processes. 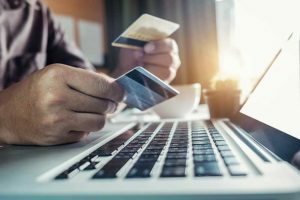 With the right expense controls, the cards can also help businesses to prevent losses caused by fraud and to keep their spending within their budgets. 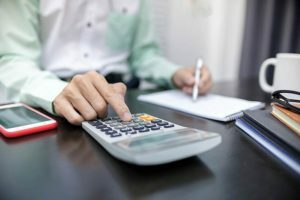 Businesses that have employees purchase items for the business and then submit expense reports for reimbursement may run into several issues. Employees may try to claim that some personal expenses were business related. Others may be slow at turning in their expense reports, leaving the accounting department to spend the time to try to track them down. Manually entering transaction information can introduce data entry error while also costing money and time. When businesses use debit business cards, they can get rid of reimbursement processes and save the time and money that is needed to process the expense reports. Some business debit cards integrate with accounting software so that the information about the transactions that have been completed with each card will upload into the software, helping to avoid data entry errors. What makes for the best debit business card? What should I look for? When you are trying to find the best debit business card, there are several features that you should look for. Reading reviews of debit business cards is a good place to start so that you can compare the features that are offered by different companies. The best debit business cards should integrate with your accounting software and offer expense controls so that you can managing the spending that occurs. You will also want to compare package prices and choose a card that has good security features. The card should be one that won’t allow your employees or others to access your funds with the debit business card. What are the tell-tale signs of fraud? There are several signs of fraud of which you should be aware. If your accounts are not balancing and your balances are either too low or too high, it could be a sign of fraud. Having a single employee that has too much control over your finances is also problematic. You should always have at least two employees who are responsible so that they can check each others’ work. Employees who refuse to allow others to access their work may be trying to hide fraud. Those who make excessive transactions might be trying to hide checks that they have written to themselves. If you see the signs that fraud might be occurring, it is important for you to audit the work of the employee and your accounts. Why can a debit card for business help reduce fraud and prevent unwanted charges? Some employees pad expense reports with unauthorized purchases to seek reimbursement for them. When you switch to debit business cards, you can get rid of reimbursements and eliminate this type of fraud. The transaction information for debit cards can be viewed in real time, making it more difficult for employees to commit fraud with the cards. Some debit cards also allow you to set limits on individual cards so that they can only be used at certain retailers to make purchases that you have authorized. If an employee tries to use the card at a different location, the purchase will be declined and you will receive a notification. In what ways am I allowed to limit spending with a business debit card? The Bento for Business Visa debit card allows you to set limits on the spending that occurs at your company. You can choose how much money that you want to fund each card with and can restrict individual cards by the venue where they can be used, when they can be used and how much can be spent. For example, you can give an employee who drives for your business a card that has a daily limit of $50 for gasoline at a specific gas station. If the employee tries to use his or her card at a restaurant, the purchase will be declined, and you will receive a notification. You can also turn the cards off when your employees are not working and turn them back on when they need them. Why is a business debit card important for your business? A debit business card can help you to increase your spending transparency while giving your employees the ability to make purchases for your company without having to spend their own money. Debit cards can help you to manage and track your expenses more effectively and can make accounting tasks easier. When you choose to use debit cards, you can save money and time on lengthy processes involved with processing expense reports and requisitions. Using debit cards can also help you to mitigate your fraud risk and to stop fraud before it starts. Bento for Business is a company that was started by financial industry professionals. It is focused on offering debit card solutions that can help businesses to control and manage their expenses. Bento has earned great reviews from national publications and users alike. When you make deposits, the funds that are held within Bento are FDIC- insured to at least $250,000 through The Bancorp Bank; Member FDIC. Bento offers a 60-day free trial so that businesses have time to take the cards on a test drive. 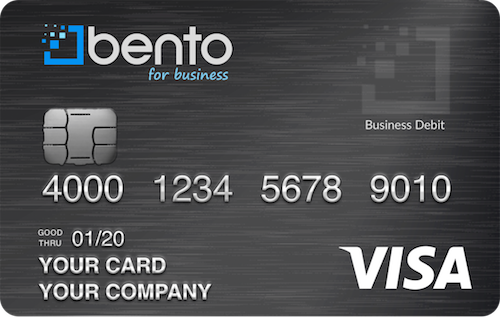 To learn more about the debit card for business, contact Bento for Business today by calling 866.220.8455.